WordPress is now known as the world’s preferred content management system as it comes with a lot of perks and nifty features that the competition simply cannot offer. Perhaps the most important reason behind the popularity of WordPress is the ease with of customization of the CMS as per the user requirements. Even a user with average skills can set up and maintain WordPress websites, mainly by selecting the right mix of themes and plugins. WordPress 5.x comes with Gutenberg Editor, a revolutionary way of drafting blogs and pages on the CMS. The editors has divided the community, with ‘progressive’ users supporting the change, while the ‘old school’ users wishing for the return of the traditional editor. What’s Cool About the Gutenberg Editor? Gutenberg Editor introduces a new and (probably) better way of creating content. This feature is named after the inventor of the first printing press, Johannes Gutenberg. The addition of a more streamlined and easier-to-manage editor gives more control over the way a users wish to create and present their content. A block based editing experience is just the beginning of making pages and posts look even more appealing. What is even more important about WordPress themes for Gutenberg is that this new editor adds a brand new component to the WordPress ecosystem that has given rise to a whole new area of theme development. GutenMag is one of the first magazine-style WordPress Gutenberg Themes that offers up to five different post layout styles, and of course compatibility with the WordPress Gutenberg editor. The theme also features an enhanced and beautiful menu that showcases lots of different categories on your magazine blog. If you are looking for WordPress themes for Gutenberg with a focus on magazine based layouts, check this theme out. 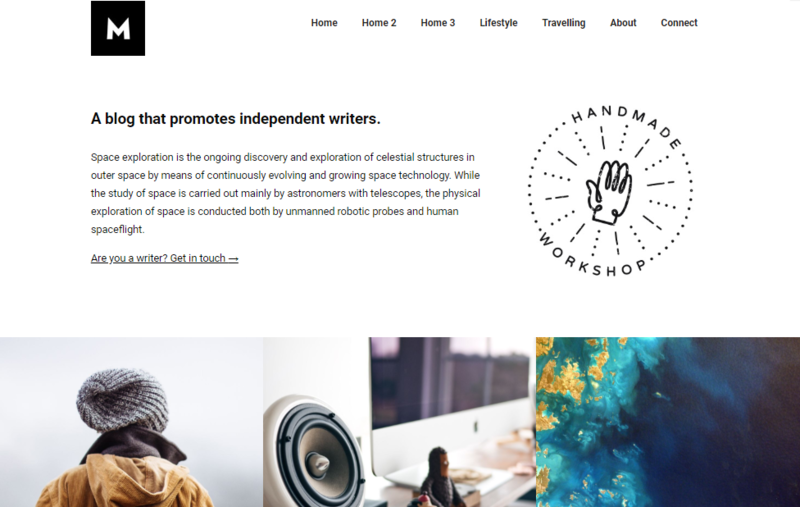 Gutenote is one of the first modern WordPress Gutenberg themes developed especially for bloggers who want to work with more minimalistic design philosophy. Optimized for the Gutenberg WordPress 5.0, it helps create more beautiful posts with advanced features. With up to the three different homepage layouts for you to choose from, this WordPress Gutenberg theme works great for business-related blogs. Not to mention its compatibility with the Gutenberg update for WordPress, this theme also features a built-in customizer with a host of options to bring out the best in your business blogs. So if you are looking for WordPress themes for Gutenberg that feature lots of homepage layouts, check out Akea. 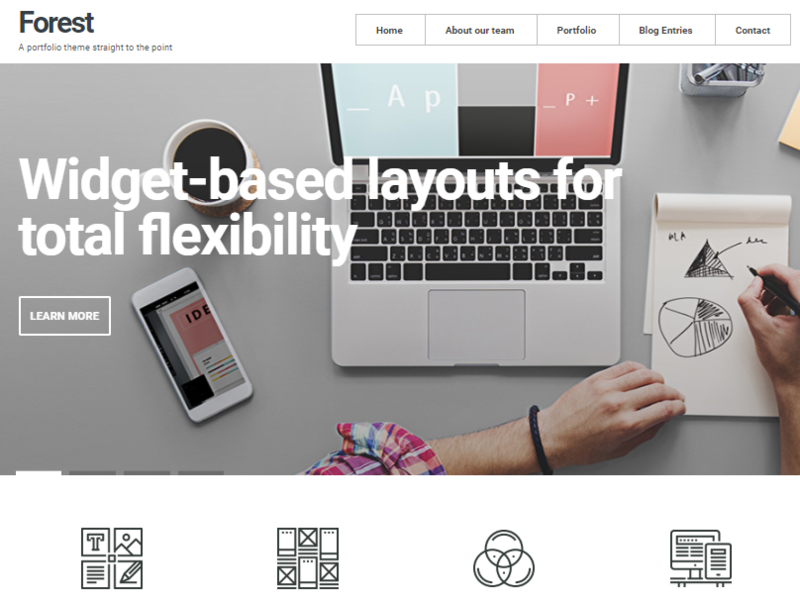 A content focused theme that emphasizes a minimalistic design look awesome. This is one of those WordPress Gutenberg Themes that is great for making personal as well as professional blogs because it is very customizable and provides pre-configured layouts to help make the job easier for novice users. The theme also supports Google apps, as well as RTL languages, Schema snippets and much more. What’s even better is that these additions do not make the theme a slow choice at all. If you are looking for WordPress theme for Gutenberg with lots of options to choose from, Typograph might just be the one you want. Ivory is a very intelligent and innovative theme for Gutenberg WordPress. It has been specially developed to support the newest version of WordPress where Gutenberg stands as the highlight and is an ideal choice for creating a unique and intriguing website. Not only a website, with its nifty options, but you can also create websites for agencies, small businesses, and several marketing campaigns. WordPress themes for Gutenberg which have interesting features are hard to come by, that is why you should check out Ivory. Contentberg’s name is synonymous to Gutenberg for a simple reason; it is fully compatible for Gutenberg. This theme itself targets the writers and bloggers of today with great options to customize the content-heavy website. The theme features more than five different homepage designs that are also customizable, thereby helping you make your blog more personalized and a great experience for your visitors. These qualities made it a worthy addition in our list of the best WordPress Gutenberg themes. A content-focused WordPress theme that provides you with a number of customization options. There is a pro version that enables options for memberships and subscriptions to your customers and visitors because it has an integrated plugin just for this purpose. Designed to play well with WordPress, it is one of the best content focused WordPress Gutenberg themes. WordPress themes for Gutenberg with focus on content are many, but few get the job done. Ink might be the one for you. 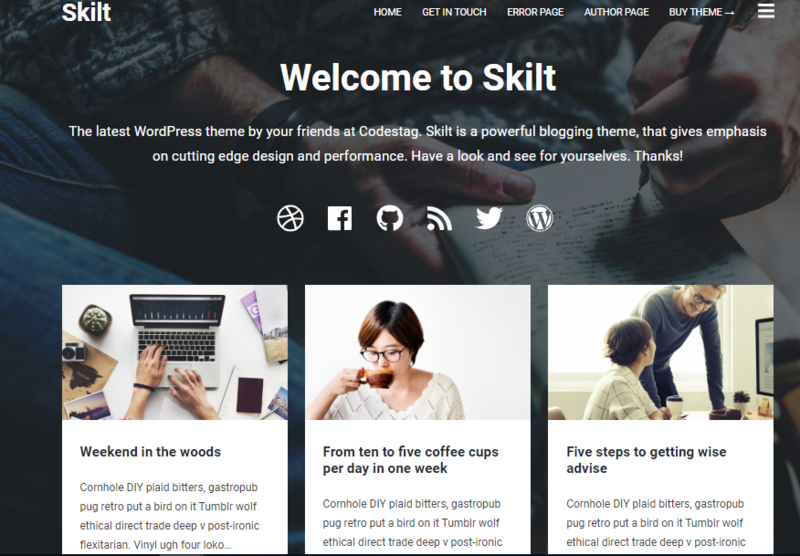 If you are looking for a tile-based theme that helps you organize your content in blocks, then Skilt is one of the best WordPress Gutenberg themes available online. Not just tiles, this theme also helps you set up different types of backgrounds for almost every post you put up. Being a responsive and Gutenberg-enabled theme, you will be at ease knowing that this theme is great for viewing mobile content on the go as well. A theme for beginners, it’s known to be one of the best WordPress Gutenberg themes in terms of usability. Narratium is a rather simple theme with an interface that’s designed to make it a great theme for those who are not fully aware of how a Gutenberg theme works. Targeted at budding bloggers, this theme has a built-in demo that shows how this theme actually works and looks. There are loads of options that allow easy customization and options that make this theme a fast and reliable option for your Gutenberg-enabled WordPress site. If you are looking for a theme that has the potential to highlight your portfolio, then you should check out Forest for WordPress Gutenberg. This is one of the best WordPress Gutenberg themes for designers with a creative edge, since this theme combines the best of professional and creative design philosophies. There are custom page designs that will help you get the theme up and running in no time. There is also a shortcode generator with built-in templates for an even better online experience. If you are looking for a Gutenberg theme that has lots of widgets and design options, you should check out Mono theme for Gutenberg WordPress. There are three different homepage styles to choose from. This is a very customizable theme that gives you the freedom to add widgets and customized sections that help spruce up a website’s design and makes it more attractive. 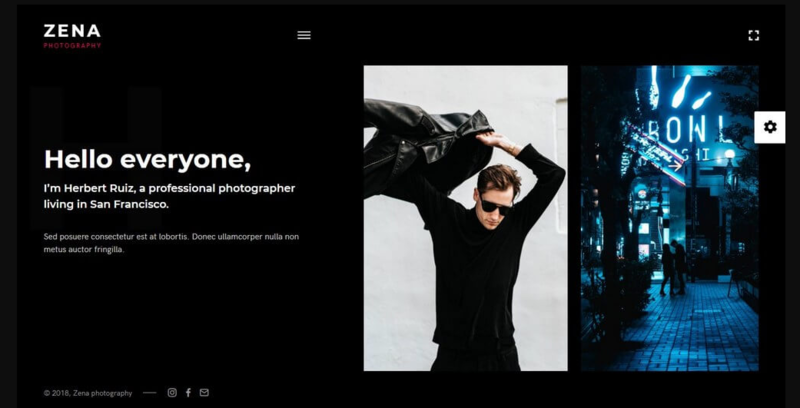 It is a Gutenberg compatible theme with a built-in gallery slider which is useful for slideshows, testimonials, and online portfolio. This is one of the best Gutenberg WordPress themes for 2019 because of its flexible design. You have the freedom to create widget-rich layouts in no time because the layout is very easy to understand. 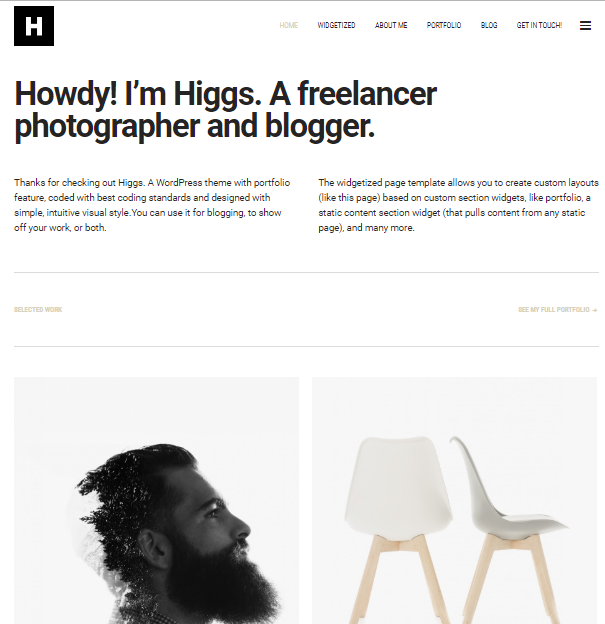 With added features like colors, typography, backgrounds, etc, Higgs is one of the best WordPress Gutenberg themes for 2019. 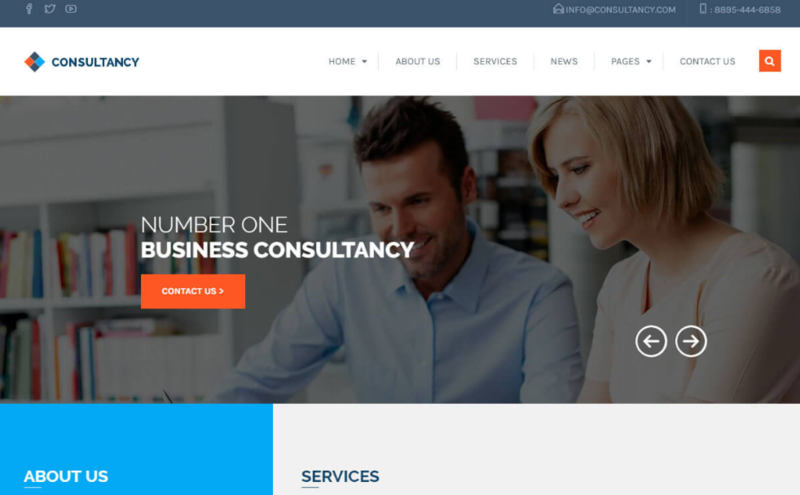 It is one of the best Gutenberg WordPress themes if you have a consultancy based business website. Consultancy is a huge theme, but not to a point where it will slow down your website. It will give you lots of inner page layouts, helping you to select and you’re done. There is Visual Composer incorporated in this theme which itself gives you lots of options to customize your website. There is also a full-screen homepage slider which will help make navigation around the website easier. These qualities make it a great addition as one of the best WordPress Gutenberg themes for 2019. Zena is one of the best Gutenberg WordPress themes with a very nice looking and easy-to-implement WordPress Gutenberg themes, built around simplicity. It’s targeted towards photographers and designers because it also features an online portfolio where creative artists can upload and share their work with the world, in a presentable manner. The flexibility of this theme helps users browse through a great variety of options needed to customize almost every section of the theme. Being responsive and fully compatible means that this theme brings out the best in your Gutenberg WordPress website. 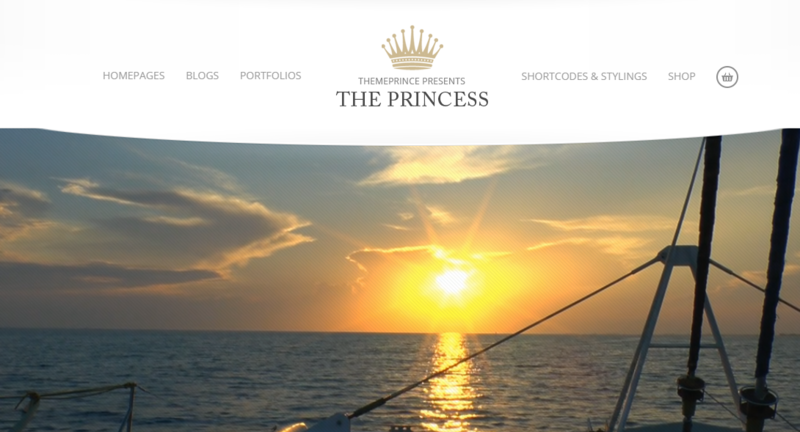 A very simple and one of the best Gutenberg WordPress themes with a minimalistic approach, Princess – is ideal for brands of today. Being sophisticated yet easy-to-manage, this Gutenberg WordPress theme excels in bringing out the best in terms of ensuring that your website remains elegant and attractive at the same time. This makes Princess one of the best WordPress Gutenberg themes of 2019. Finding the right WordPress Gutenberg themes is not an easy task because more themes are coming up in search results nowadays, but not all of them are worth your time. While looking for the top WordPress Gutenberg themes of 2019, we tested them and made sure that they delivered in terms of performance and overall flexibility which helps ensure that these themes are a great choice for almost any type of user. If you think we have missed out on a theme that should be a part of this list, please let us know in the comment box below. 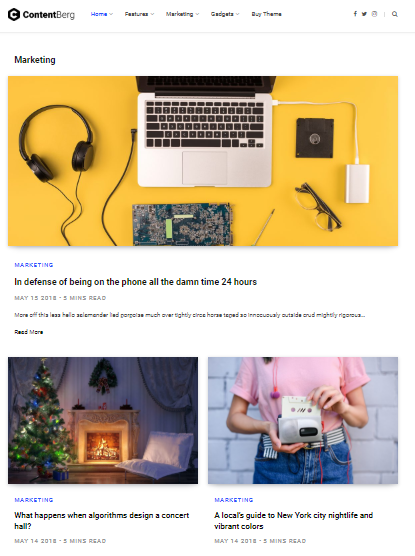 The post Top 15 WordPress Gutenberg Themes Of 2019 appeared first on WPblog.